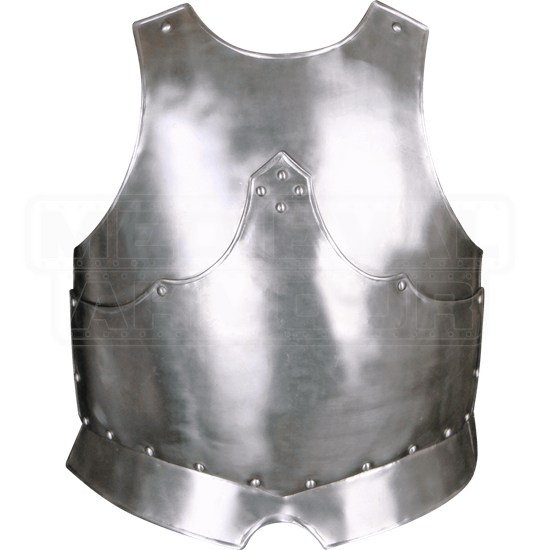 The Steel Gustav Breastplate is an excellent option for LARPers and re-enactors just starting to build up their armour collection. 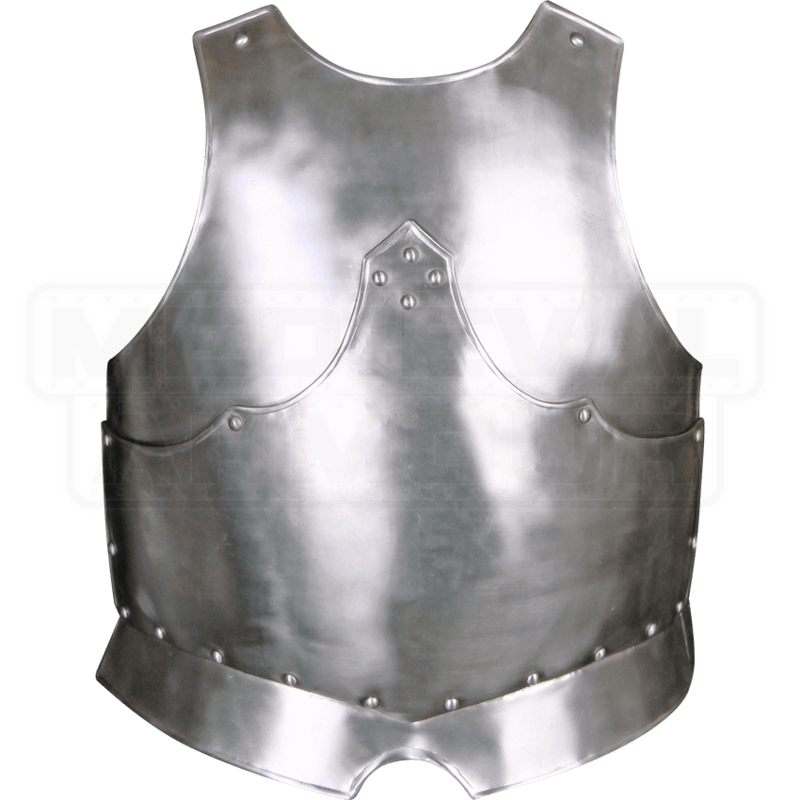 The steel breastplate features a design that can apply to many different character types. The medieval breastplate also works great for Renaissance fairs and other historical events. Three inflexible pieces compose the steel body armour. The middle part features sloping edges and rivet decoration for a striking look. A pair of buckled leather straps cross in the back, allowing adjustments to the fit. We recommend wearing a gambeson or other padded arming wear for increased comfort.